When considering the quality education provided by Ivy League institutions, too often students overlook just how expensive these institutions can be. Despite Ivy League colleges and universities being renowned for their financial aid and commitment to making education affordable for students in need, many still come out with significant debt loads. This post explores the costs that Ivy League students experience with the high price of their educations, leveraging data that has been published by the universities themselves. Brown University, with an average incoming class of 1,600 freshmen, has 43 percent of its student body on need-based grants. Their average grant is $42,109. 34 percent of Brown grads took out loans to pay for their education, having an average debt totaled at $22,197. Cornell University, being on the larger side as compared to other Ivys, sees an average of 3,180 freshmen each year, 44 percent of whom receive need-based aid. Their average aid around $39,787. 43 percent of Cornell graduates had loans to pay for college, with an average debt totaling $24,394. 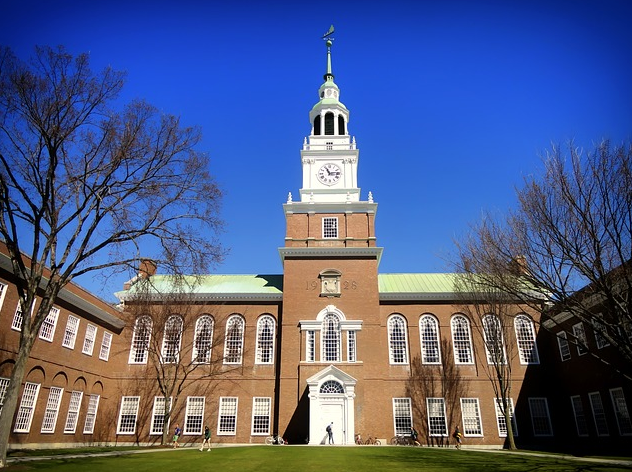 Dartmouth College, the smallest of all, has a little over 1,100 freshmen each year, 48 percent of whom receive need-based grants. Their average award comes in at $46,917. 43 percent of Dartmouth graduates chose to take loans to pay for school, and their average debt came in around $19,135. Harvard University home to 1,660 freshmen, of whom 56 percent receive need-based assistance. Their average award being $47,053. 26 percent of Harvard graduates took out loans to pay for college, and their average debt totaled $15,117. Princeton University has approximately 1,338 freshmen, 62 percent with need-based financing. Their average award comes to $46,208. 16 percent of Princeton graduates took out loans to pay for college, and their average debt totaled $8,577, significantly lower than that of the other Ivy’s yet still a strong amount. The University of Pennsylvania has around 2,300 freshmen, 45 percent received need-based grants. Their average award was $42,150. 28 percent of graduates took out loans to pay for college, and their average debt came out to $26,157. Yale University with 1,364 freshmen, gives 51 percent need-based grants. With an average award of $50,359. 17 percent of graduates took out loans to pay for their schooling, and their mean debt totaled $15,521. Columbia University did not release the information as the other Ivys did. But about 27 percent of their freshmen took out loans. About 12 percent of their undergraduates have so much financial need that Columbia doesn’t expect their parents to pay anything toward the cost of college. These statistics, which have been publicized by the institutions themselves, show that even those who come from some of the best institutions in the world suffer from large student debt loads. If you, too, were required to foot the bill for your college education, and have not been able to work your way out of the subsequent debt quite yet, take an easy step towards becoming debt-free and refer your employer to Goodly.